Berm Repair Kit to repair the occasional puncture or tear in a berm. Berms are tough, but occasionally a berm gets punctured or torn from a sharp object or vandalism. If this happens - don't worry. 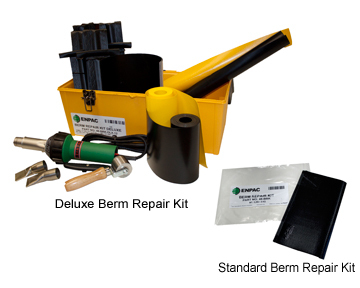 There are two Berm Repair Kits™ to choose from. The Standard Berm Repair Kit™ provides a peel & stick, quick and easy fix for incidental tears or punctures. 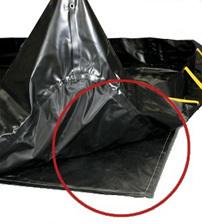 5 Peel & Stick Sheets, 8"x11"
The Deluxe Berm Repair Kit™ contains everything you need for extensive repairs. All freight quotes are estimates only and do not include fuel surcharges that change daily. Actual rates may vary.